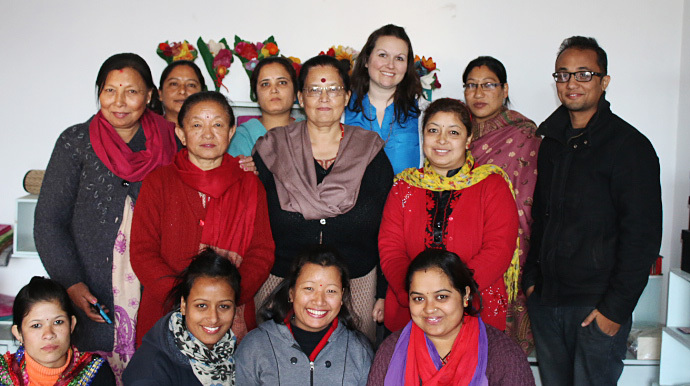 Leave for Change volunteer, I spent three weeks in Nepal working with CECI Nepal and the WEAN Multipurpose Co-op. During my placement I worked closely with the local team to develop a digital product catalog, film and edit interviews of artisans and business owners, and to create a strategy for digital marketing, including social media and web presence. International relations and development has always been an interest of mine, particularly initiatives supporting economic development for women and youth. In the past I have had the opportunity to teach English in South Korea and to work on a United Nations initiative in Namibia in Southern Africa. What drew me to the Leave for Change program was the fact that I could participate without having to stop my work for a long period. Another great benefit is that, while my involvement was relatively short, it is part of a longer-term supportive relationship between the CECI and the many organizations that they work with and has a strong focus on capacity building so the benefits last beyond the project end date.